You will need a USB memory stick of at least 4gb before you continue. Once you have the memory stick insert it in to a spare USB port and remove any other USB storage devices. 1. Visit https://www.microsoft.com/en-gb/software-download/... . Scroll down and click on "Download Tool Now". Once downloaded double click on the downloaded file "MediaCreationTool.exe". A new window will appear. 2. Don't bother reading the text just click on "Accept". 3. 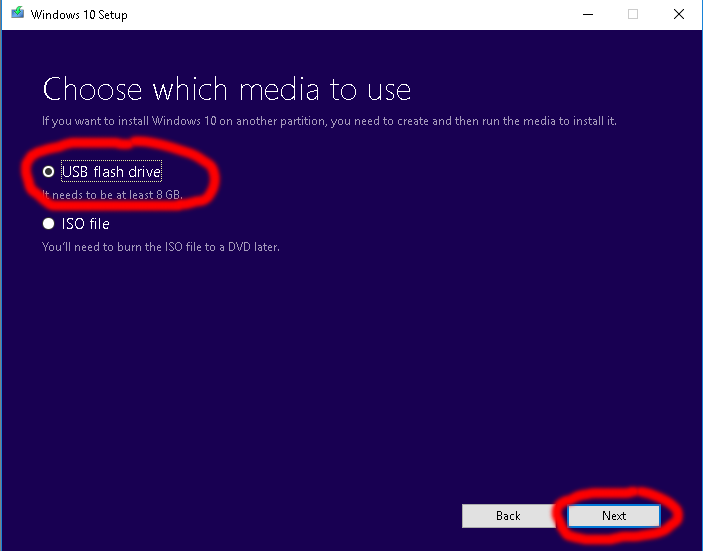 Click on "Create installation media" then click "Next". 4. 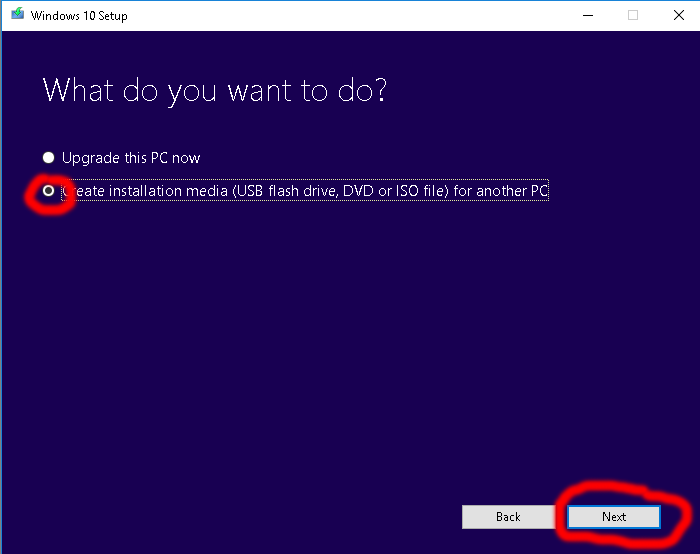 Untick "Use the recommended options for this PC". 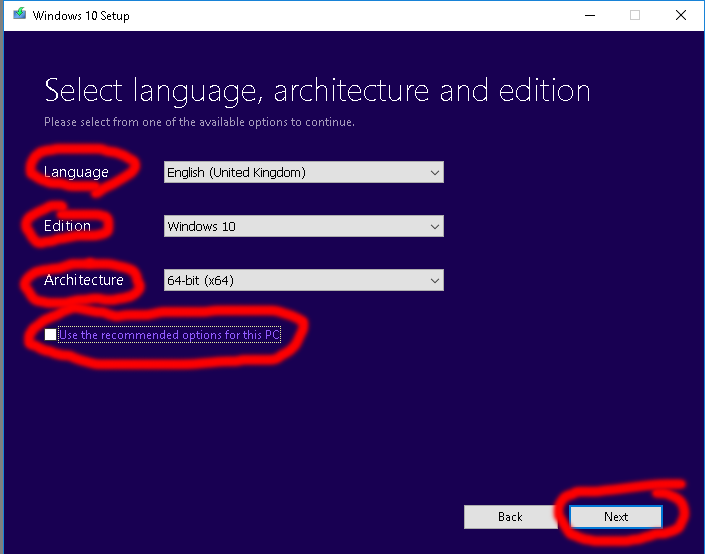 Select your language using the "Language" drop down menu. 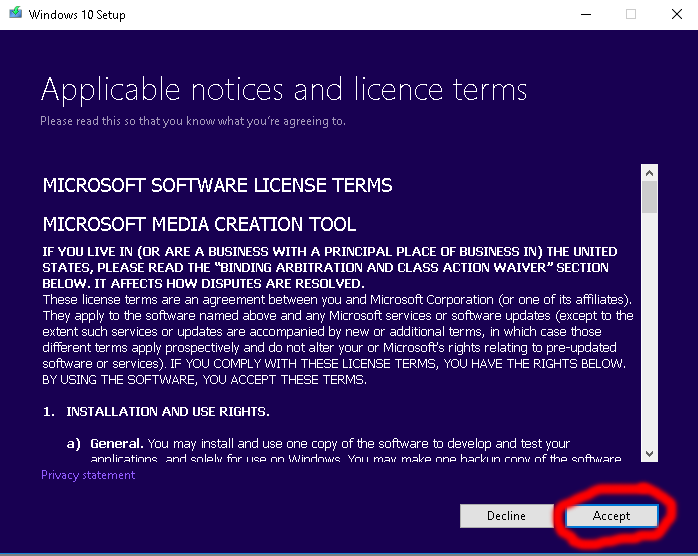 From the "Edition" drop down select "Windows 10". From the "Architecture" drop down select "64-bit (x64)". The click "Next". 5. 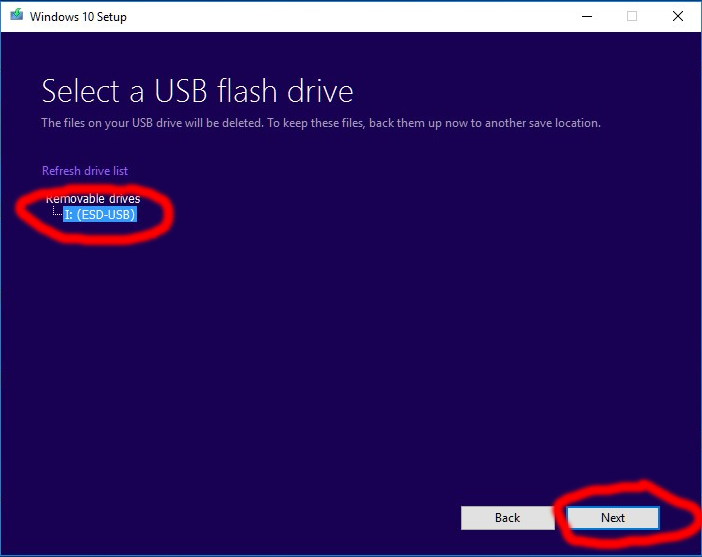 Click "USB flash drive" then click "Next". 6. If you do not see your Memory stick in the list then re-insert it and click "Refresh drive list". Click "Next". 7. 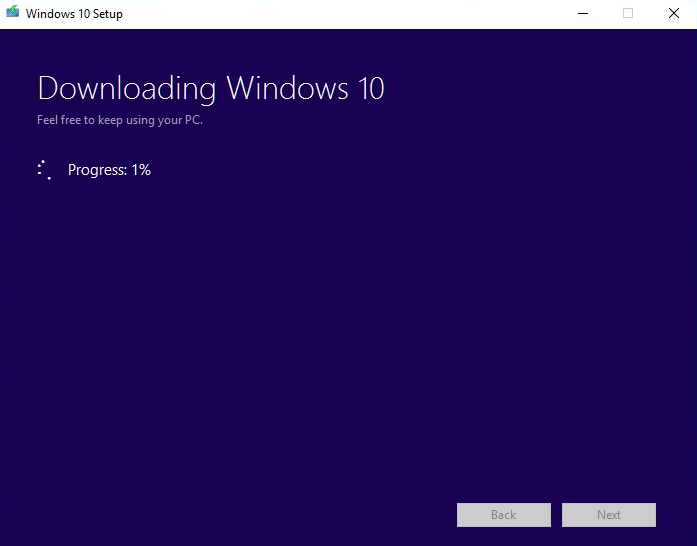 Wait for the download and install to finish, this may take several hours. That's it, all done.